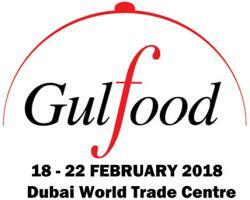 During the third week of February 2018, the AEB participated in the Gulfood 2018 Exhibition in Dubai. This prestigious event attracts upwards of 90,000 visitors from countries in the Gulf region and central Asia creating business opportunities and promoting trade contacts. The AEB points to the increase in exports to the UAE in 2017 compared to the previously year. USDA-FAS statistics show that exports of shell eggs increased from 7.3 million dozen to 13.1 million dozen with an increase in value of $6.1 to $10.0 million. The volume and value data obscure the fact that unit value for exports dropped from 83 cents per dozen in 2016 to 76 cents per dozen in 2017. By comparison, Hong Kong which imported 37.8 million dozen in 2017, representing approximately three times the volume shipped to the UAE purchased eggs at 94 per dozen. The large increase in exports to the UAE in 2017 compared to the previous year has less to do with promotion than it did with restrictions imposed by authorities in the Emirates. Firstly the fipronil scandal disqualified exporters in western European nations that traditionally supply the Gulf region, forcing buyers to turn to U.S. and other nations. The second factor was the embargo placed on Saudi Arabia ostensibly due to HPAI. This nation which has an excess of egg production relative to domestic consumption has enjoyed long-term duty-free, cross-border exports to Gulf neighbors. Although disease was advanced as the major reason for the embargo, it cannot be justified on the basis of science or even OIE or WTO rules. Avian influenza is endemic in the entire Gulf region. There is a measure of political and trade animosity between Saudi Arabia and a number of its neighbor including the UAE which imposed protective restrictions. Exporters in the U.S. benefited from both fipronil contamination and HPAI in the nations which traditionally supply the region. It is however questioned whether the factors leading to an increase in exports in 2017 will carry over into 2018 and years beyond. 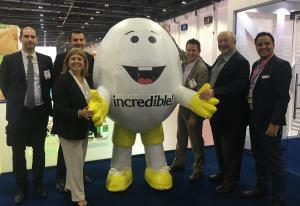 Exports to the UAE in 2017 represent the combined constant production of 530,000 hens or 0.3 percent of the population of U.S. hens dedicated to producing shell eggs. The figures and commentary presented above are not intended to reflect negatively on the activities of the AEB in promoting exports since every contribution to consumption is beneficial to the industry. EGG-NEWS simply wish to place volume and value figures in perspective. The AEB in collaboration with USAPEEC are to be commended on their continued commitment to enhancing exports.